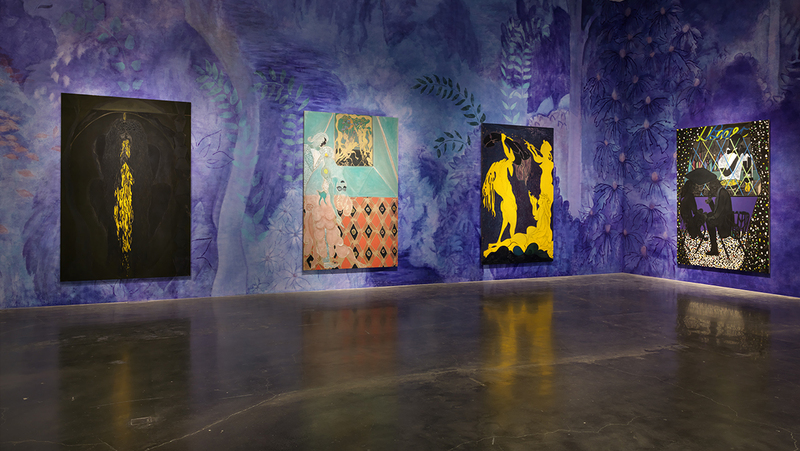 Installation view: “Chris Ofili: Night and Day”. 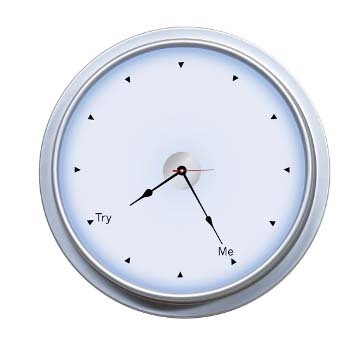 Courtesy David Zwirner, New York / London. Photo: Maris Hutchinson. All works © Chris Ofili. Perennial student of (art) history, interpreter of time, master in the pantheon of painting – Chris Ofili (b. UK, 1968) demonstrates in his New Museum retrospective curated by Massimiliano Gioni that he grasps the splendor of Gauguin, Matisse, Picasso, and Chagall, yet reaches the enigma of Manet and Grosz. Moving chronologically through the last twenty years of his career, each successive floor changes mood from the crisp bright clarity of day to the shadows of dusk when vision loses the distinction of color and silhouettes shimmer equivocally between fact and fantasy. Without falling into delusions of grandeur, the theatrically rich installation conjures a somatic experience of imagined sounds, smells, and touch. Laced throughout the exhibition are references to religion (The Holy Virgin Mary from 1996 is welcomed back to NYC!) and mythology (particularly Ovid’s Metamorphoses and the myth of Diana and Actaeon), yet Ofili bites into the tragedy of our times whether taking on such themes as the cynicism of the artist as prostitute or the public disregard for the lives of immigrants and peoples marginalized by race, circumstance, and jurisdiction. Recent works – nine paintings of the Blue Rider series (2006-2014) – evoke the deep invisibility of night in Trinidad (where he currently lives) resonating as fully as Goya’s Black Paintings with the mysteries of a cultural subconscious.